"Very professional, helpful and courteous"
Read our customers' honest and impartial Abarth 595 car reviews and ratings to easily find your next car at Motorparks. 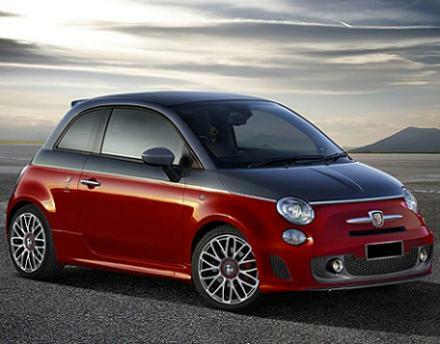 Tremendously entertaining Abarth 595C. The convertible adds to the fun. The Abarth sound plus the rapid responsive engine are all enhanced top down. Top up, nothing is sacrificed to the saloon other than the hatchback. The Abarth cars are all about fun, with added usability, in a nutshell. Entertainment in spades. I love it I never want to get out of it. The exhaust tones sound fantastic especially in indoor car parks and the dashboard is brilliant - I LOVE IT. The sales man Chris Pool was so helpful from the moment we walked into the showroom. He could have had a really easy sale and sold us a Fiat 500 which he knew wasn't the right car for us. Instead, after 2 hours, we bought our Fiat 595 Abarth. We are so happy with it.